Every one in our family loves animals and we are so lucky to have a job we love so much. The perfect home from home for your pets! Originally pig farmers we decided to change business in 2006, building our first luxury kennels to provide first class boarding kennels for our guests. 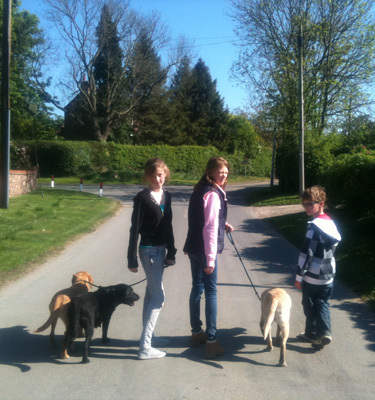 We soon realized that looking after and caring for the dogs was much more fun than pig farming! Now we have 21 luxury boarding kennels and 9 top class cattery homes for cats and dogs. Everyone in the family is involved in the running of the businesses making sure the animals are all fed, watered, exercised, groomed and loved. We even make sure we can accommodate any special little requirements – a scratch behind a particular ear to special dietary requirements.